Daredevil's Charlie Cox about his new-found love of comic books. 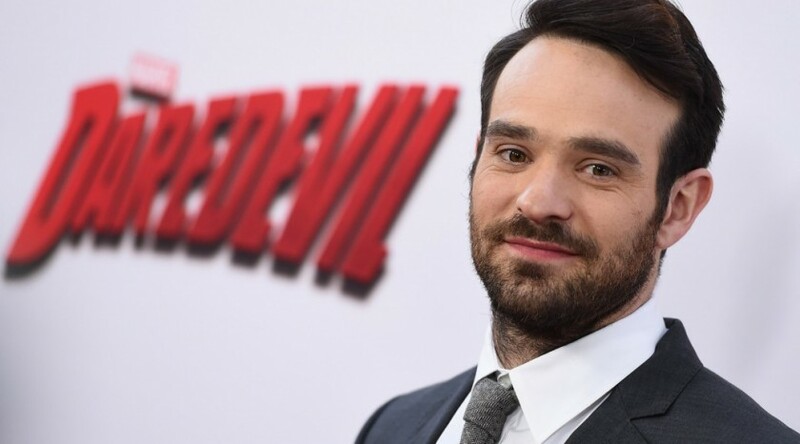 Close-Up caught up with Charlie Cox, star of Netflix’ ‘Daredevil’, to find out about new-found love of comic books, the legacy he hopes the show will leave and which characters might crop in season 2. 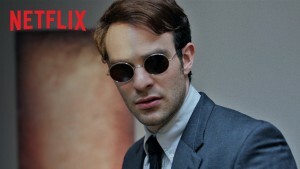 He plays a blind lawyer, Matt Murdock in Marvel’s latest television outing. Lawyer by day, vigilante by night, the show returns to the darker, dirtier underbelly of fighting for justice in spandex and a mask. Were you a fan of the comics beforehand? I was not, no. I get asked that question quite a lot and I always get nervous when I answer, but the truth is I wasn’t. I had never read a Daredevil comic and I hadn’t seen the film. In a strange way it ended up being quite helpful because when I was allowed to read the scripts early on in the audition process, I was allowed to read the first two episodes, and when I eventually got the job I was able to go away and immerse myself in the comics and the history and this incredible back-catalogue and identify which series and writers and illustrators best represented the show that was being written. In a way it was good that I didn’t have any preconceived ideas on who the character should be. You meet fans and they have a very particular idea, they respond to certain writers and illustrators, and I think if I had that there’d be a danger that I’d try to please everyone. I think very early on I thought ‘right this is very specific and it’s very similar to this run, or these runs’ and I could concentrate on them. The show’s been well-received, over here and in the States, over there do they know you’re English, that it’s another superhero we’ve taken? I just saw a headline, someone sent me a headline saying ‘The Brits Are Coming, And They’re Wearing Our Tights’ but yes, there’s a lot of us. It hasn’t come up, but then again it probably wouldn’t, I don’t know if someone would go out of their way to tell me they’re annoyed about it. There’s something odd about it. Andrew Garfield, Tom Hiddleston, Ben Cumberbatch, Christian Bale, Henry Cavill, all they’ve got is Captain America and Iron Man. It’s a funny one, lucky for us! How would you like the series to be known as, a great superhero series or a great crime drama series? Ideally both. One of the things that we talked about was that if we could make a show that survives regardless of the superhero element, then what we’ve potentially got on our hands is a very successful television show. You’re always going to attract the fans, and it’s absolutely the most important thing to not alienate them, and some shows make that mistake. You have to gear the show towards the fans primarily, but if you can make a show that survives regardless of it, then hopefully you can attract an audience that didn’t necessarily grow up on comics and superhero films and can still find the story sophisticated enough, interesting enough, that the superhero element peppered on top is a fun, different element to a crime drama. I would say that what I would love is for people to walk away from the experience of watching Daredevil and say it was quality TV. That it’s well acted, it’s new and different and bold, it certainly feels that way from a Marvel perspective. Every episode there’s something “Ooh” [Charlie winces] even just reading it, and I got episode 9 and there’s the epic fight scene with Nobu and [his shoge hook], at the end of it is a hook like a fishhook, and it hooks into Matt Murdoch and he’s pulled across the room. The people that wrote the episode are a husband and wife called The Gages, and [Christos] Gage came up to me and said ‘Yeah, Ruth wrote that… terrifying’. It’s a incredibly challenging role for you, physical training, blind acting and a US accent on top, what kind of preparation did you do across all of those? A huge amount. I was probably, when I started, 160lb and never had a gym membership, so the first thing they said to me was ‘you need to put on a ton of muscle’ and I had about a month to do that, so I just went to the gym every day. They set me up with a trainer and I just followed him around ‘pick up that 10 times’ over and over, and just ate a lot of food and drank protein shakes. I did what I was told basically, which was easy. We incorporated into that some martial arts training and some boxing training and that kind of stuff. Similarly with an accent it’s just work, I actually find accents quite difficult and for some reason I always get given an accent to do, and they don’t come naturally to me. I know many actors who can just listen and do it, it’s not the case for me, I had to work really, really hard. I had an accent coach and I just went over and over with the stuff, the sounds, and I can still hear mistakes that I made. I’m hoping to improve for next season. The blindness, again, was particularly challenging, I worked with a blind consultant and it was important to make sure I understood [how I should behave], that we were all consistent to what that looked like in performance. There are technical challenges because if there’s a glass behind him, he would pick it up without looking at it. Me, Charlie, I need to look at something if I’m going to pick it up, that had to be choreographed. There’s the Matt Murdoch who operates as a blind person, with the cane, reading Braille, finding things on the table with his knuckle, it felt like there were lots of elements to it. Then finally the added complication is it’s very hard to act with people when you can’t look, and they can’t look you in the eye. There’s also fun elements, you get to do more. How did those elements get separated out? Did you do batches of scenes with each ‘type’ of Matt Murdoch for instance? I did that by myself in so far as I made sure I understood what the boundaries were. If he’s on his own, he’s ‘this’, if he’s with someone or in public it’s ‘this’ and then there’s what happens to his eyes when he’s not wearing his glasses or the mask. I just made sure I knew what the boundaries were and made sure I was consistent with those in the scenes when they presented themselves. One of the hardest things to do with the blindness is what Joe [Streachay, his blindness consultant] does, as he talks to me, his eyes go to where the sound is coming from, his eyes focus in and around my chin area and mouth. I thought ‘that’s great’ because that’s quite easy to copy, I can just do that. The problem is the camera is very rarely a POV, it’s always over a shoulder and that doesn’t actually work effectively, so what I had to do, depending on where the camera was, I had to adapt where I was looking so it felt like there was a blindness. At the same time if a guy’s looking at you here, I wouldn’t be looking over there [Charlie looks in the opposite direction] because I know the guy’s there, so I was worried about it for a while, I went back to the comics and went to the panels and realised Matt Murdoch’s blind because you know he’s blind, and if you didn’t know that you could sometimes look at the panels and think he’s looking at them. You have to have trust in the fact that the audience will remember that stuff. You have any favourite Daredevil comics now? I’m a big fan of the Bendis/Maleev series, I spend a lot of time with them. It’s hard not to mention Frank Miller’s ‘The Man Without Fear’ because it’s so iconic and obviously a great influence on our show. Personal favourites that I like, in the Bendis/Maleev series, early on in the 30’s I believe, there’s a lovely series where Matt Murdoch defends the White Tiger. One of the reasons I responded to that is I like seeing Matt Murdoch as a lawyer, I like seeing him give his closing argument, and it’s also something poignant with him defending a superhero, although he’s defending White Tiger he’s also defending himself and I think there’s so many interesting levels to that. I love ‘End Of Days’, David Mack’s stuff. I’ve recently, since we’ve finished filming, gotten into the first Frank Miller run, with Klaus Janson, I really love it man, it’s a very different feeling, Spider-man’s all over the place, but it’s great. I don’t imagine we’ll have many of those villains, I don’t think we’ll have Stilt Man. We’ve got Owlsley. The Punisher is in that run, quite early on in that run, I’ve got high hopes that he’ll exist in our show, but I’ve got no idea. At some point Bullseye’s got to come in, I don’t know if it’ll be this season, but I think at some point we’ll have to have a Bullseye. I hope so. You’re quite happy to continue with season 2? I’ve been [acting for] 12 years and in that time, I started out as an actor and was very, very fortunate very early on and got some great work, then I couldn’t get a job. I went through periods of 6-7 months with being out of work, so the idea of regular work for me is thrilling. The fact that I love this show and I love being on it and I was so impressed with the execution and the resolve of the creators is a bonus, and the fact that it’s been well received obviously makes you feel very good. It’s funny people say ‘are you worried about being on a hit show?’ No, it’s the dream. Ask Andy Lincoln, I’d be very surprised if he’s like ‘Walking Dead ruined my life’. Were you worried at all whilst you were making it, the way Netflix works with everything being released all at once, you get no feedback as you’re making it? As we went on I was very cautiously optimistic, they really stuck to their guns in terms of what they wanted to do, and I definitely felt like it was the next evolution of television superhero-ness in tone and theme. I get quite anxious and nervous, I do get a sense of responsibility and people come up to you in the street and say how excited they are, you can’t help but take that on. Early on I rented a place in Fort Green, Brooklyn, and round the corner there was a guy who, on the weekends, sets up a tiny stall and sells Daredevil comics, I used to go there, he sells other comics but he has lots of Daredevils, I didn’t tell him I was doing the show and I used to go there and just chat to him, ask him what his opinion was. He knew they were making a show and he would talk a little bit about what his hopes for the show, this that and the other, were. Eventually I told him, gave him a posted signed by the cast and he was very excited, and he e-mailed me the other day saying he was thrilled by it. Having those conversations, I know it sounds silly, but you realise how important these characters are to so many people. My trainer, the guy they set me up with in New York, by chance a huge comic book fan, he said to me in a moment of vulnerability, ‘it sounds silly but when I’m in a struggle in my life, when I’m faced with real adversity, one of the questions I can’t help but ask myself is what would Superman do, what would Spider-man do at this moment’ and I get that, I think there’s something very cool about that. And if you think about why they started making them and distributing them, I believe an aspect of it had to be helping young kids identify the hero within themselves, inspire that [heroic] behaviour. How do you feel about maybe being that inspiration to young kids now, hopefully they’re not watching Daredevil because it’s a bit too violent, but as they grow up they’re going to be watching it, do you feel like there’s a burden? I feel better equipped now. I did a children’s movie in 2007, when I was much younger, called ‘Stardust’, in this country it did quite well but in the States it didn’t and it ended up that we never made another movie, I was thinking about that recently. I’m slightly older now, I’ve been through the troubling part of one’s twenties and all that stuff, so I feel slightly better equipped now, if I were to be watched and looked at in terms of my behaviour in society, I could be more of a role model. I’m not going to be falling out of nightclubs, and I say that as I do think it’d be naive of people to be in the public eye and just reject that part of their lives. It’s a real thing, and I’m always impressed with young actors or musicians who take that part of their life and career seriously, I think that’s important. What would the likelihood be of Matt Murdoch turning up in other Marvel shows and films? It’d be great. I’ve read Civil War now, I’ve read The New Avengers, I know he’s in there but I think I missed the boat on Civil War because they’re filming that. I don’t know, Marvel have not mentioned that to me at all. It’s in my contract that if they want me to do it, I’m there, and I would love that. That would be an extension of the dream, but I’m a pretty happy customer at this point, to get to do the series again. And I get to do The Defenders at some point. Were you a little disappointed that since your name already alliterates like so many superhero alter-egos do, that they didn’t change the show to fit it around you? The CC? CC, MM and DD, that’d be cool. Slightly off the point, and I’ve been told nothing so I’ve no idea what’s going to happen, looking forward to season 2 one of the things that I personally hope happens, the suit evolution involves having a DD on the chest, I think the great thing about doing a superhero show on TV with all the extra hours is you get to really spend your time in origin, you get to spend your time on the evolution of the suit and the acquisition of the suit and how it’s made and who makes it. In our show there’s a conversation with the priest, Father Lantom, that inspires the suit. That’s such a great Easter egg, I love that stuff, rather than it just being an assumption. And are you looking forward to using the billy club to swing around the city? Well we’ve got the billy club, I can’t remember [verything about it] because obviously there’s so many different aspects and we only had the one episode, but it comes apart, has the wire. That’d be pretty cool – cut to me in a massive rig, sh*tting myself. Season 1 of ‘Daredevil’ is available now on Netflix, having been released in its entirety on April 10th.